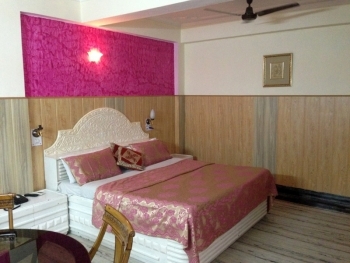 Hotel Sachin International in Haridwar is one of the most frequented budget hotels in Haridwar. Hotel Sachin International is the most centrally located hotel, Situated in the heart of the city Haridwar. Just walking distance from Famous Har Ki Pauri & opposite to Haridwar Railway Station. The hotel promises to offer guests no-frills comfort at extremely reasonable prices. The hotel also has arrangement in place if you are planning a sightseeing tour of Haridwar and closely located tourist places. The excellent tariff structure is prepared in order to meet the individual requirement of every pocket group. 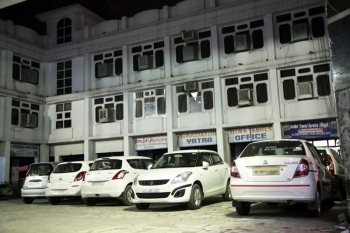 Accommodation charges at Hotel Sachin International Haridwar are extremely affordable. The group has two hotels in Uttarakhand: Sachin International in Haridwar and Sachin International in Rudraprayag. Sachin International Hotel is located very close to the Railway station and Haridwar Bus stand. City center is 500 mts and Har ki Pauri is 2 kms from hotel. The hotel Sachin International offers well-furnished 72 rooms which are categorized in 5 categories. The guestrooms at Hotel Sachin International have ample space and are tastefully decorated. Though it is a budget hotel, you have all the modern facilities at your disposal. The home-like ambiance and the cozy rooms provide a pick-up opportunity even for the most jaded traveller. Your recreational requirements are also quite well taken care of at the hotel. An immaculate and efficient room service makes your stay at the hotel a unique experience. Guests can have all the modern in-room facilities at the hotel. In each of the rooms, there is attached bathroom with the facility of running hot/ cold water. There is air-conditioning, television and telephone in all the rooms. The hotel Sachin International is equipped with an on-site restaurant which offer multi cuisines to its guests. Muskan Restaurant makes for Vegetables cuisines that leave the taste buds of the guests satiated. The restaurant of the hotel offer Indian/ Chinese cuisines. Impressive menu and impeccable service have made this a very popular food joint with the people of Haridwar.